Linking internally is the practice of creating links within the same domain. This helps to create a hierarchy between pages. It also helps Google to determine what are the important pages in your site. 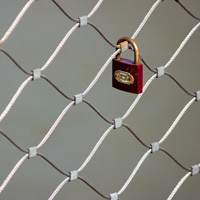 Linking internally is almost as good as creating links from external domains to your site. However,many sites forget to make use of this, this is really an under-rated part of SEO. Where for incoming external links you are depending on other site owners to create these for you, internal links are in full control of yourself. Make sure to link to relevant pages within your site, and especially make sure to use your anchor text wisely. Make sure to link wisely: emphasize the really important pages, do not just spread them around randomly. While many people not make use of this feature at all, others just create them blindly just for the sake of having them. Make sure to first determine the most important pages of your site or pages that already bring you a lot of traffic. You can easily determine these tools like Google Analytics. Also you can use the URL-structure you created earlier: pages high up in the URL structure (like your main menu) are generally more important than pages depper in the site. Those are also good candidates for internal linking. However, this is just a rulke of thumb. In specific cases, when more relevant, of course you can link to any page that you think fit. Also, you can use the different 'silo's'of your site. In my site, the SEO-checklist category is an important 'silo', a separate section of the site. I try to emphasize the relationship of the pages in this silo by mostly linking to pages in the same category, thus making it stand out as a stanalone section. I do the same for the other categories. 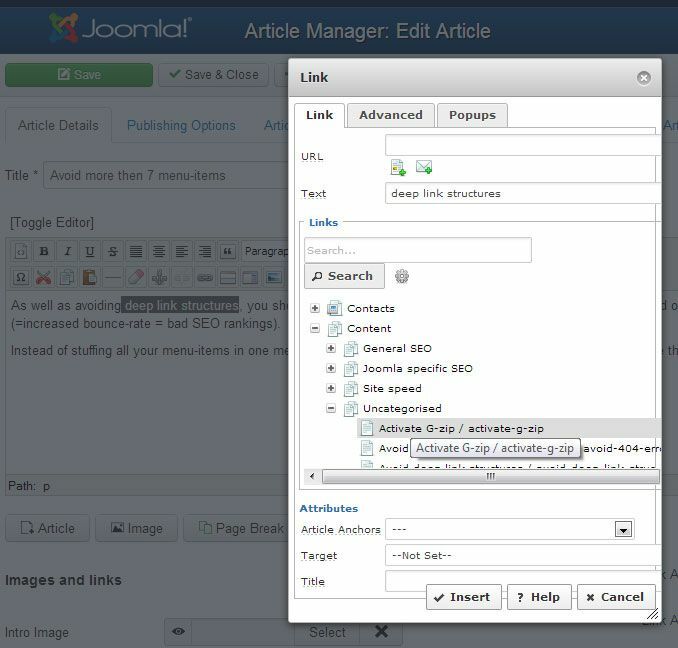 The navigator helps you to quickly making those internal links. We already talked about the benefits of creating a URL structure using your categories. This also creates excellent internal links, p[rovided you set your articles to show the active category and also set it as a link. 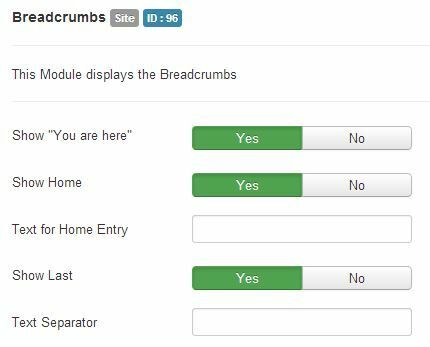 There are quite a few extensions on the Joomla Extension Directory that can automate the process of linking internally for you. Next to these extensions there are some extensions which offer a full SEO functionality that offer this functionality as one of it's features. Be cautious with these extensions though, if you over do this, it may result in negative effects on your SEO. Usually I am not a big fn of these automated solutions. They often result in undesired solutions or people clearly spot you have used an automated solution. Then a final remark about external linking (to other sites). Contrary to what some say, this can be a good thing: make sure you link to authoritive sites related to your subject. This can help you to establish your site as an expert hub.